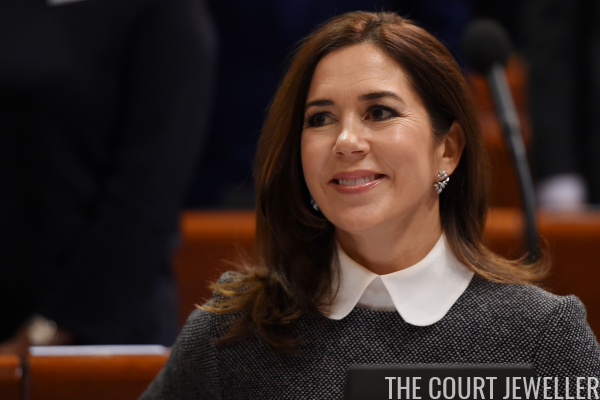 It's always fun when I'm able to feature Crown Princess Mary of Denmark's jewels on the blog, and today, we've got a good look at a recent outing of a floral pair of earrings. 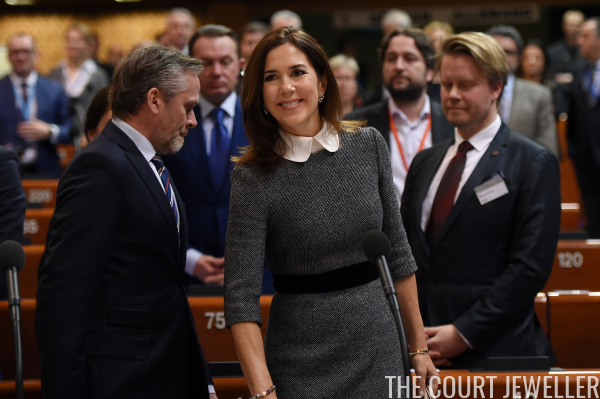 Mary wore the jacket-style diamond floral earrings from the Frost collection by Ole Lynggaard Copenhagen for a visit to the Parliamentary Assembly of the Council of Europe in Strasbourg on Tuesday. Here's another view of the earrings, which we featured last year in our countdown of Mary's best jewels. 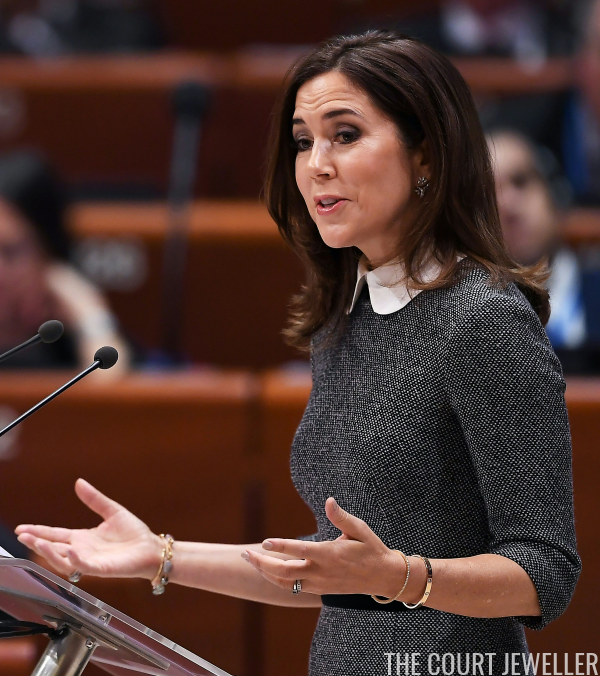 During the visit, Mary delivered a speech to the assembly. You can see here that she also wore bracelets on both wrists, including her Cartier Love Bracelet.